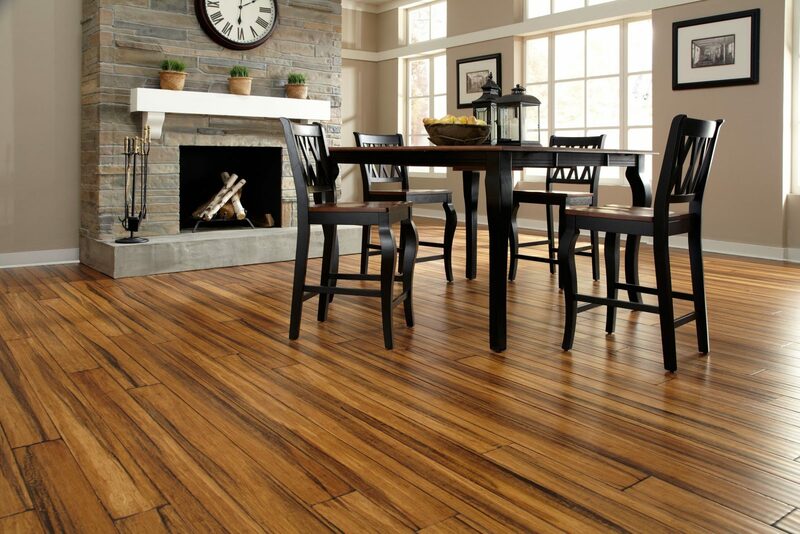 Choosing home bamboo flooring is an excellent choice since bamboo flooring has become a booming trend in recent years. The reason for this sudden popularity is because quality bamboo flooring is affordable as well as durable. Other reasons for the popularity boom are that it is easy to install bamboo flooring; it is very versatile and eco-friendly. There are a few bamboo flooring facts you will need to know before you head out to purchase your new flooring. One mistake that installers of bamboo flooring usually make is that they leave room on the sides for expansion but not at the ends. For a traditional hardwood floor, this is okay but is not good for bamboo flooring. Bamboo does need more room for expansion. Bamboo is harvested every six years or so because that is when it reaches maturity. The good thing is that once it is harvested, it does not need to be replanted since it automatically will grow back on its own. Now if you take a normal oak tree, it takes 60 years to mature and once it is harvested, it will take another 60 years to regroup. Understand bamboo flooring is not as complicated as it may seem. You can go online where there is a ton if great information that will tell you all you need to know about bamboo flooring. If you are looking for flooring that is durable and can stand up to kids and pets or if you are going green, then bamboo flooring is your answer.